When to gang I at fust were beginnin't'lairn, on my brow I gat monny hard knocks. While my mother would twattle me gently an' cry, Honey Jenny, tak care o'thisen". 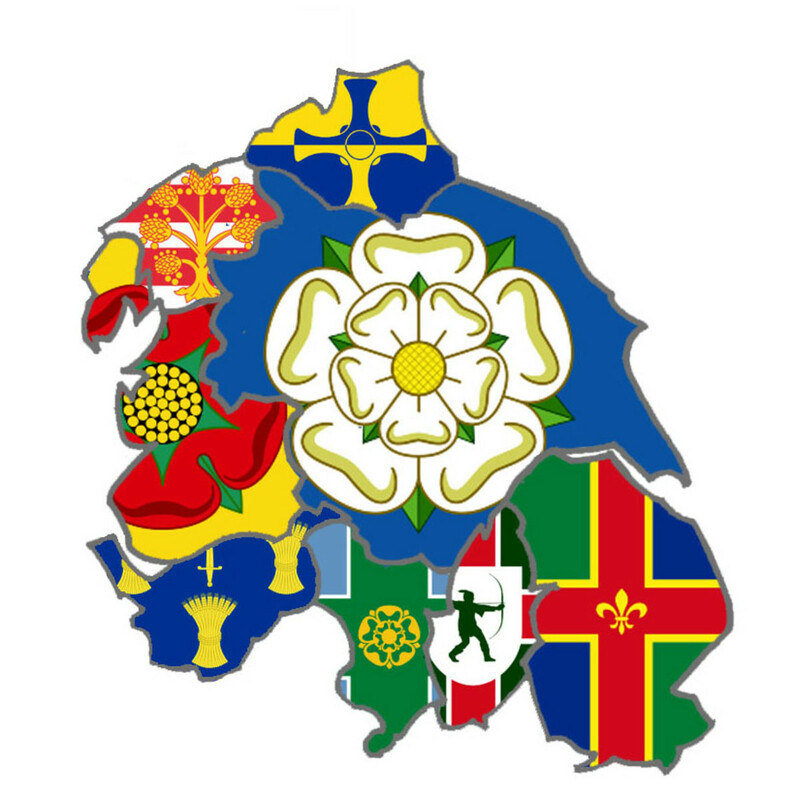 YORKSHIRE DAY as such was first celebrated in 1975 as a protest against these boundary changes, where swathes of land were 'shuffled' between the Yorkshire Ridings as well as out of the county. 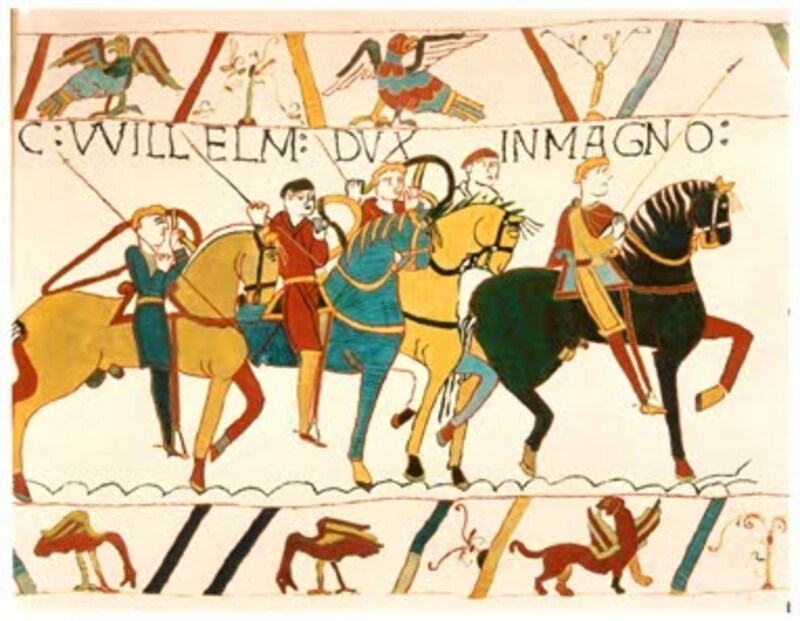 Thousands of acres were moved from the West Riding area into the new 'North Yorkshire, the name 'Riding' that went back to the 9th Century disappeared and confusingly a new South Yorkshire was created around Sheffield, Barnsley and Doncaster. Hundreds of acres were taken from the East Riding and plonked into North Yorkshire and East Yorkshire was lumped together with North Lincolnshire as 'Humberside'. Further insult came with a large chunk of land being taken from south of the Tees at the top of the North Riding and dumped into County Durham. Some of that was returned when the owners of Tan Hill Inn said the Durham refuse trucks couldn't reach them. Most of the land - near High Force - stayed in County Durham. 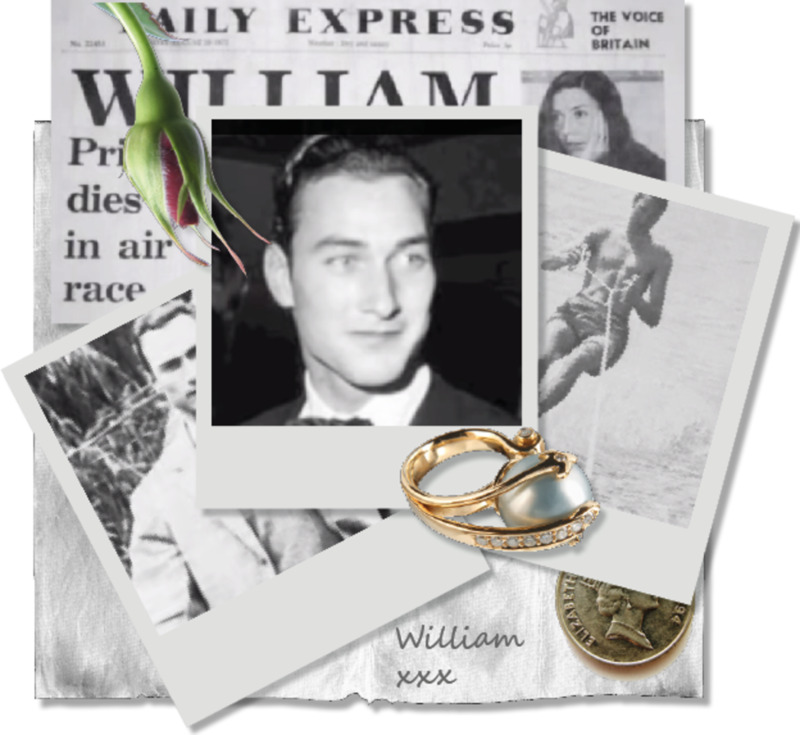 Then new developments came. West Yorkshire became the West Riding again, albeit still minus Harrogate, Ripon, Settle and Skipton. The north side of the Humber became the East Riding again, still minus land east of the Derwent. That still left North Yorkshire bereft of the south bank of the Tees near Middlesbrough. The weirdly named Cleveland County - half of which, being erstwhile County Durham had nothing to do with Cleveland, an area of the North Riding known as 'Kliffe Land' to the Danes - was divided into four unitary authorities, Hartlepool and Stockton-on-Tees north of the Tees, Middlesbrough and Redcar to the south. Odd thing was, Yarm, Kirklevington and Picton on the south side still came under Stockton! If you think it's confusing, it gets hilarious from here. Redcar, which includes my old stamping ground around Eston, Normanby, Ormesby, Nunthorpe and Guisborough, has been made 'ceremonially' part of Yorkshire again. Meanwhile Middlesbrough is still on its own. In the former West Riding half of Todmorden was plonked into East Lancashire. To cap the insult, a line was drawn - so I heard when Michael Parkinson interviewed the actress Dame Thora Hird - down the middle, inside the Town Hall. 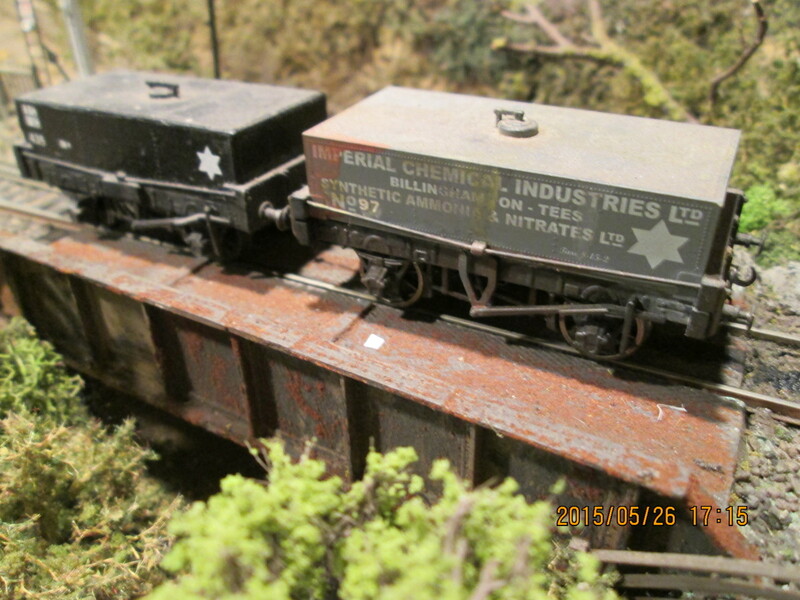 All Todmorden has been restored back to Yorkshire again since then. Meanwhile down in the deep south, South Yorkshire (jokingly dubbed 'The People's Republic of South Yorkshire') refuses to re-join mainstream Yorkshire. Competitive sport in schools is discouraged etc. etc. What better reason than to bring some colour into the lives of folk whose identity seemed to be in doubt? The date itself, 1st August, goes back to the Battle of Minden (in modern-day Germany). In 1759 we were in the midst of another of our spats with the French, then allied to the Bavarians. This round of the longest ever boxing match was known as The Seven Years' War. 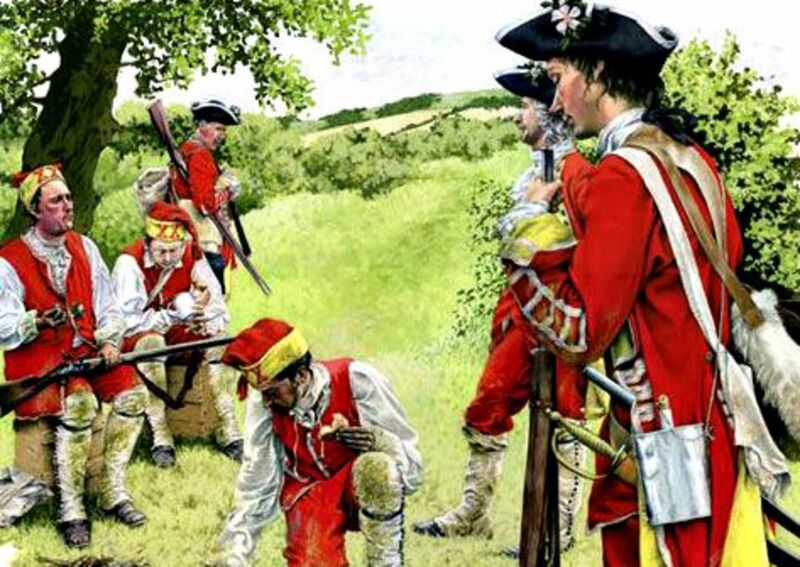 British regiments plucked locally grown roses and set them onto their regimental hats and caps, red for the Lancashire regiments, white for Yorkshire (harking back to the Wars of the Roses as Sir Walter Scott dubbed them). It was coincidentally the date in 1834 of emancipation for slaves in all the British colonies and dependencies. This was down to the efforts of William Wilberforce, the Yorkshire-born Member of Parliament for Hull after long years of ceaseless political campaigning against seemingly overwhelming odds - including the Church of England. 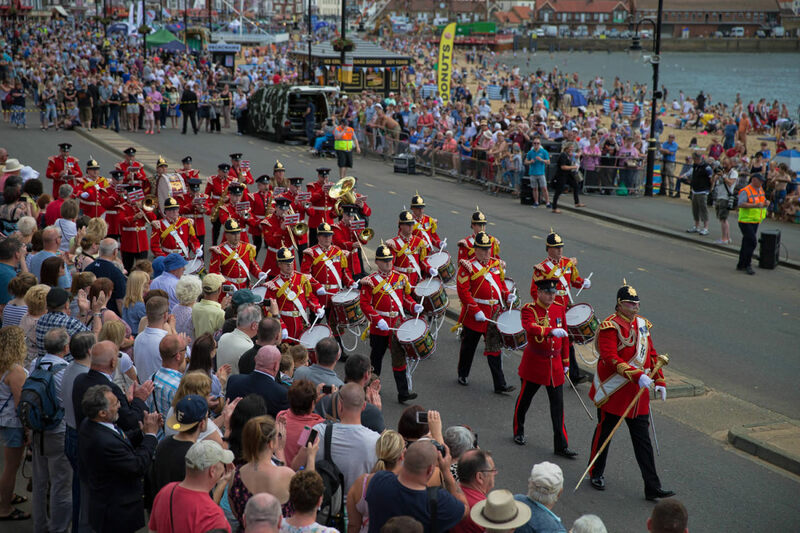 The date, 1st August, had already been marked by the Light Infantry, inheritors of the tradition of Minden Day from the days of the King's Own Yorkshire Light Infantry (KOYLIs). With five other regiments in the British Army a rose is traditionally allowed to be worn in the soldier's headdress (beret or hat). With the Light Infantry this was the White Rose of York. [In all: the West Yorkshire Regiment, East Yorkshire Regiment and the Green Howard Regiment of North Yorkshire, amalgamated by the Army at the behest of Bean Counters in the Ministry of Defence, Whitehall]. These days we limit our neighbourly niggles to the cricket pitch. 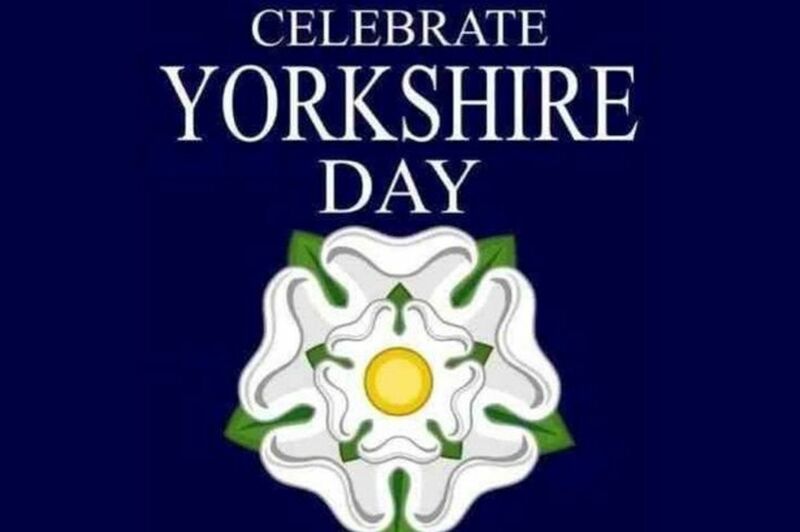 So how is Yorkshire Day celebrated? Officially, within the course of celebrations a representative gathering of mayors and civic heads from around the county is convened by the Yorkshire Society. These gatherings have been held so far in Huddersfield, Kingston-upon-Hull (generally spoken of as 'Hull') twice, Wakefield twice, Halifax also twice and once each at Leeds, Bradford, Penistone, Redcar, Malton, Hedon (near Hull), Scarborough, Skipton, South Kirkby and Moorthorpe (near Doncaster), Doncaster, Saltburn, Guisborough and Saddleworth (extreme west in the West Riding, near Oldham in Lancashire - like Todmorden it was lifted and shifted). So you can see the range of settlements varies from cities such as Hull and Leeds, to small towns such as South Kirkby and Hedon. Just to show I'm not such a chauvinist, I can tell you similar events have been held by the Friends of Real Lancashire (all its big cities such as Liverpool, Manchester, Oldham and Preston have been hijacked into 'Greater Manchester' and 'Merseyside', leaving the county with its old county town of Lancaster - their day is November 27th since 1996), and the Huntingdon Society (April 25th since 2002) to promote their respective counties that saw considerable boundary changes like Yorkshire. Huntingdonshire has been wholly absorbed into Cambridgeshire. Then you've got Newcastle-upon-Tyne (Northumberland), Sunderland and Chester-le-Street (both County Durham) lumped into 'Tyne & Wear'; Bath (Somerset) and Bristol (Gloucestershire) were hoisted with other towns into 'Avon' and so on. Turns your stomach, don't it! 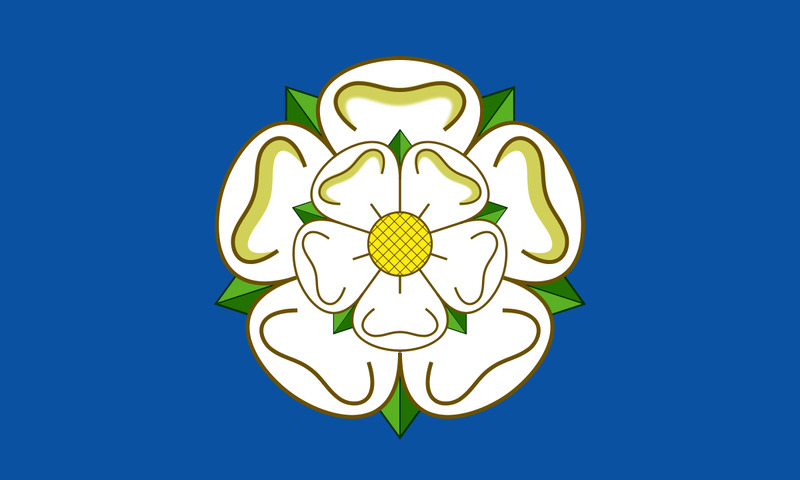 "I [name], being a resident of the [East/North/West] Riding of Yorkshire [or City of York] declare that Yorkshire is three Ridings and the City of York, with these boundaries [current year minus 875] years standing that the address of all places in these Ridings is Yorkshire; That all persons born therein or resident therein and loyal to the Ridings are Yorkshiremen and -women; That any person or corporate body which deliberately ignores or denies the aforementioned shall forfeit all claim to Yorkshire status. *These declarations made this Yorkshire Day [year]. God Save The Queen [King]"
In York the declaration is made four times by the Yorkshire Ridings Society, one for each Riding and for the City of York. The traditional boundaries of the three Ridings (Old Dan. 'Thridjungar' or Thirdings) run up to the ancient city walls, so by leaving from three of the city 'bars' (gatehouses) the society can make the declaration in each Riding. This is then followed by a reading within a fourth bar, this time within the walls. . The reference 'County of the Broad Acres' refers to its size, the Texas of England'. The numbers who have tried to reduce it are many. The 1974 boundary changes were a political gimmick, much of which was reversed and returned to the status quo. So we have Yorkshire from the days before the Danes came in 866, and Halvdan Ragnarsson's Kingdom of York... to Yorkshire, bounded by the North Sea to the east, Lancashire to the west (originally also part of Halvdan's kingdom), Durham from the Tees northward, Lincolnshire-Nottinghamshire-Derbyshire-Cheshire to the south. Much has happened since the Normans came, not all of it agreeable, and wealth created by agriculture, industry and commerce. Are you up to it? "Despite the serious underlying purpose and money raising activities for charity, some Yorkshire people worry that it has become a media and marketing jamboree, perpetuating stereotypes of whippet-racing, black puddings and flat caps. We have to be careful not to overdo it, but regional distinctiveness adds colour. I'm against a grey uniformity spreading over everything, which is where the world is going". 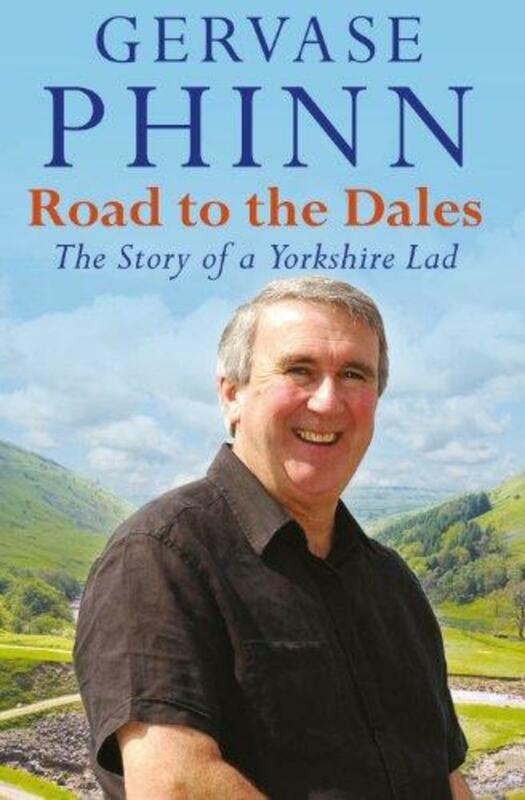 "Today is Yorkshire Day. 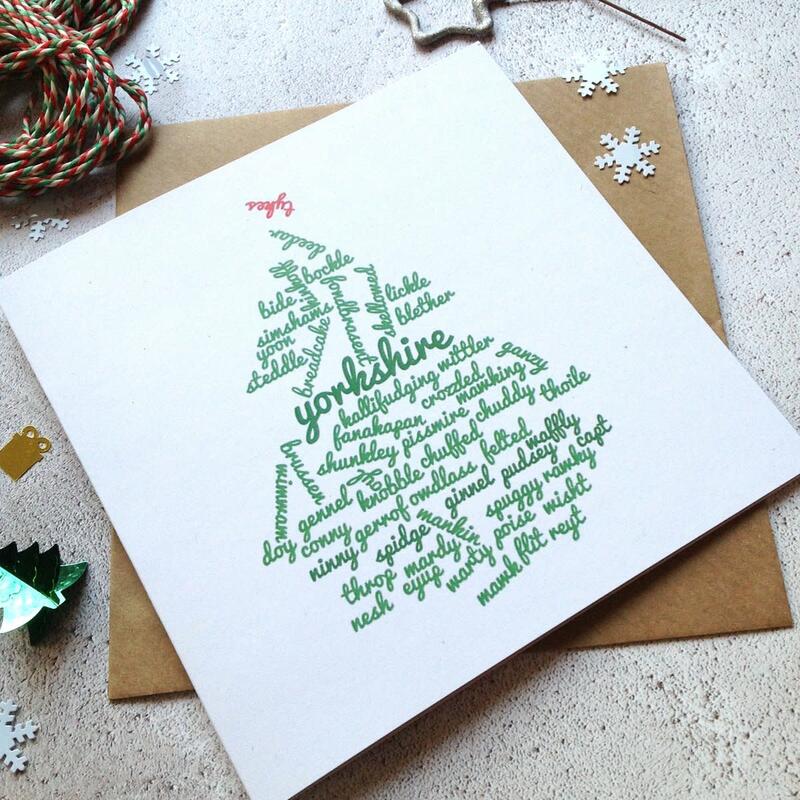 Not many people know that, as a very non-Yorkshire person likes to say, and probably not many Yorkshiremen either know or care. It is almost as artificial as Father's Day, which is as all thrifty Northerners know, was created to sell more greetings cards". Needless to say these misogynistic views are not widely held. Everybody likes to get away from the grey everyday and let their hair down. Halvdan would have appreciated an annual celebration in summer to show his appreciation of the efforts of those around him. He took to farming his lands when not seated on the throne in Jorvik, and in summer the farming day is long and arduous, as is the lot of many who harvest the bounties of nature. There are few enough high days and holidays between Easter and Christmas, There were fewer then. There's lots of scenery to discover - see the TRAVEL NORTH series and you'll see - and a good reason to celebrate a county with so many contrasts, from the flat lands to the east and low, rolling hills in the heart of the East Riding to the Pennines around the Three Peaks (Ingleborough, Pen-y-Gent and Great Whernside on either side of the Settle to Carlisle Railway). Then you've got the high windswept Moors between Whitby and Helmsley, deep Dales around the Tees, the Swale, the Ure and the Wharfe. Preserved railways course between moorlands and dales in east and west, the highest railway in England runs north-south along England's spine. 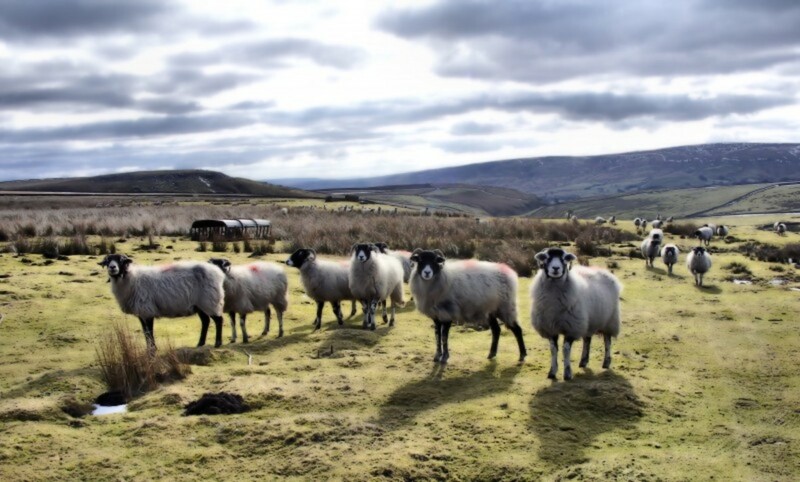 Sheep outnumber people in North Yorkshire many times over. Small towns nestle in dale bottoms, villages and hamlets dotted between, high and low. Fishing hamlets and small towns nestle in coves and bays, or boats are launched straight into the sea between Redcar and Withernsea along the coast. The bleakest spot in the county is on Spurn Head, the spit of land that thrusts across the mouth of the Humber. Only lifeboatmen, air-sea rescue crews and lighthouse maintenance staff live here but visit in summer when the days are long and seabirds wheel and dive, shore birds use the long daylight hours to hunt for small creatures in the mud. All you hear is the wind and birds. That's paradise for some. Feeling hungry or thirsty after this hectic day trip? Something to wash down that big dinner? 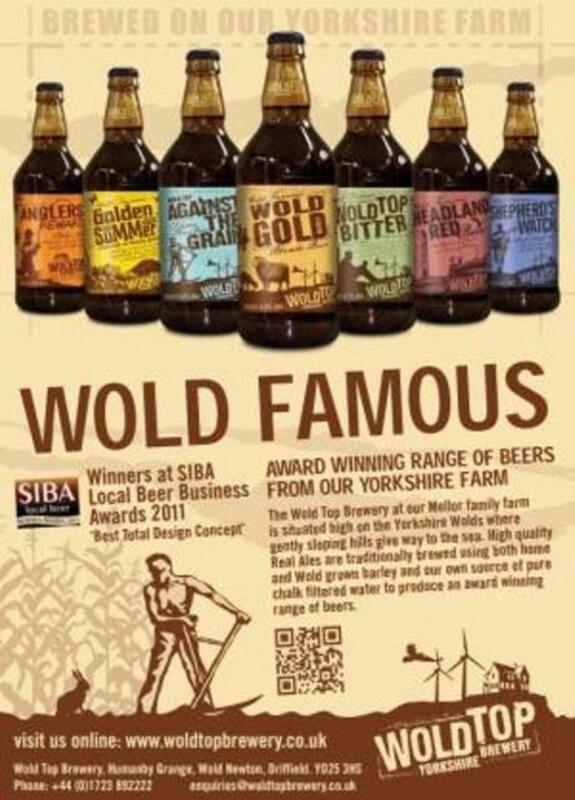 Why, the Wolds Brewery - Wold Famous as it says - has something to suit your taste. When you go to Yorkshire and get about, walking, cycling, driving, you start to feel peckish. You work up a thirst as well. All these country pubs I've shown in the TRAVEL NORTH series are not just to show you how pretty they are. They're there to give you ideas about where to go when you're in need of sustenance. The landlords and staff are not just there to pull pints and uncork bottles, they can tell you lots of things, explain what you get with your Yorkshire Puds - some, such as at the Lion Inn on Blakey Ridge have a plate-sized pud with different fillings plus onion gravy - and the meat you get is usually locally frown, as are the peas, potatoes and carrots etc. If you like cheese, take a day out at Hawes at the top end of Wensleydale. There's your clue. At the top end of Hawes is a village called Gayle. Before you get there turn left into the Wensleydale Creamery. Sample the different cheeses in small cubes around the island counter before you take your choice. It'll be hard to make your choice! There's also cake and biscuits to go with your cheese - sweet or savoury. A large restaurant and cafe serve good coffee, tea or cold drinks as well as hot and cold dishes. Get there before 3-4pm to be served. Pay for your cheeses in the shop or browse the other goods on offer (greetings cards, gifts, books etc.) before taking your wares to the till. There's a small museum at the back, and you can watch the cheese-making process. Alternatively at Muker in Swaledale to the north you can buy Swaledale cheese, at Cotherstone in upper Teesdale you can buy their cheese in the village shop as well. They're both different in character to Wensleydale and equal in quality. At West Burton in Bishopdale - off Wensleydale near Aysgarth - you can buy Bishopdale cheese. 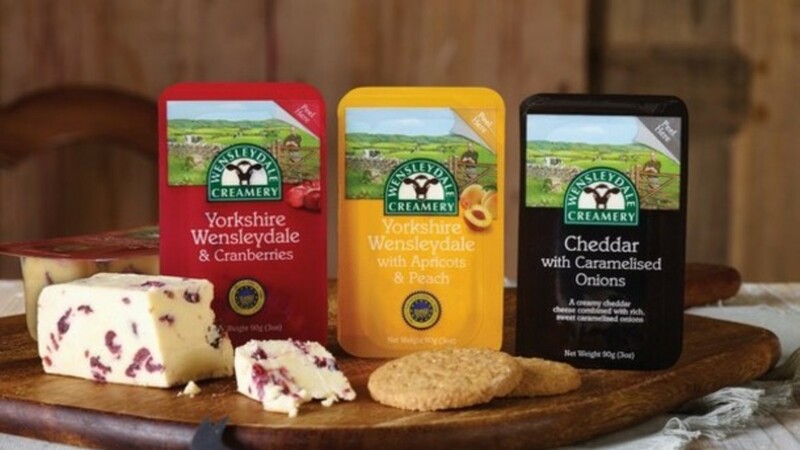 You can also buy it at the Wensleydale Creamery at Hawes, but West Burton being a picturesque village you wouldn't want to cheat yourself of another experience would you? Pleasant walking country around West Burton, and there's always the Cat Pottery before looking into the Fox & Hounds for a home-made meal and drinks. Now that's got you going, hasn't it! 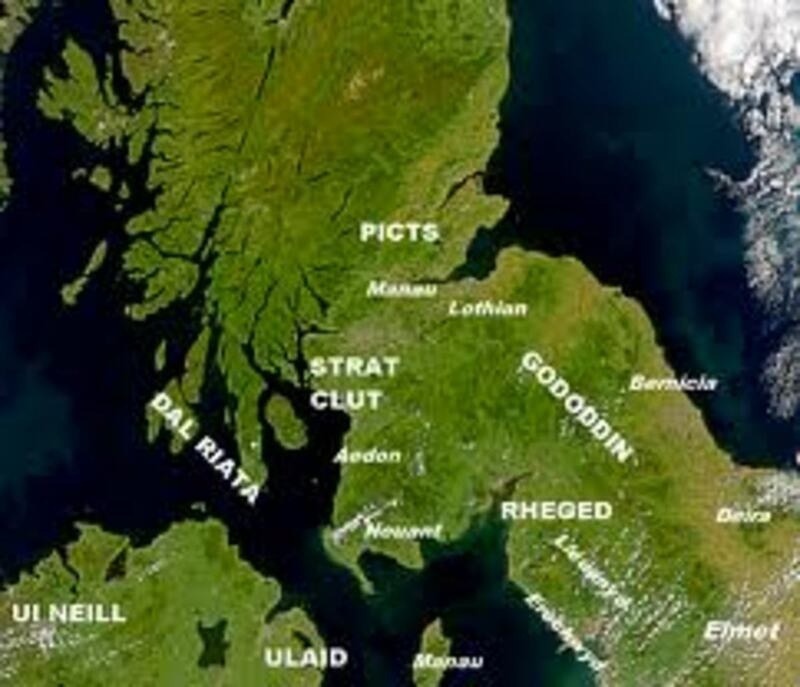 Dear owd 'Scunny'! 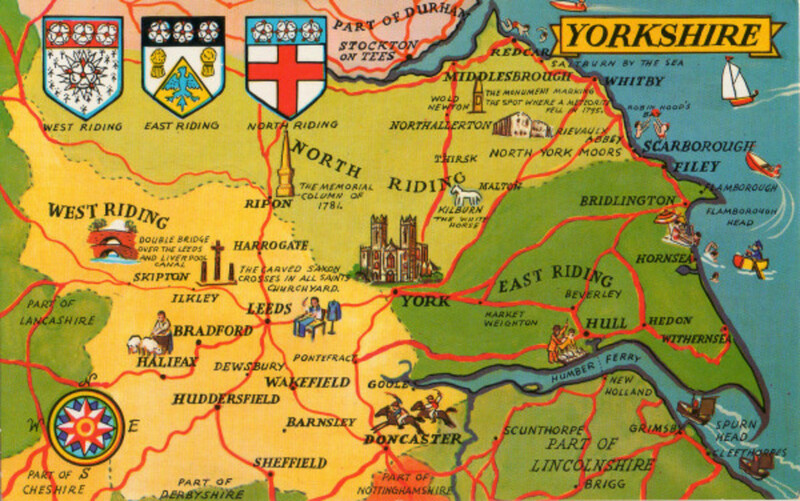 T'aint Yorkshire though, is it ('Humberside' came and went, and the East Riding was resurrected - although there's still a lot haven't caught up with it yet. 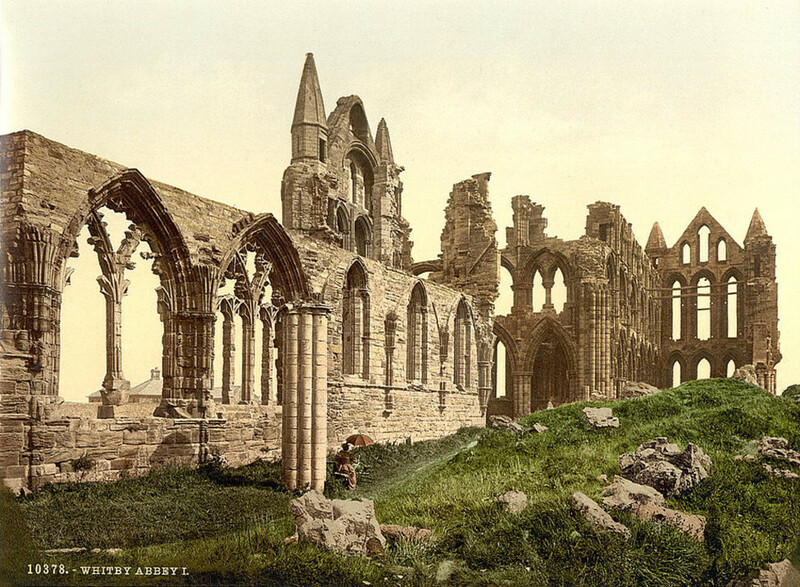 Near 'Scunny' there's a Normanby (the town of Northman), a few of them around three each in Yorkshire and Lincolnshire, near Middlesbruff, Whitby (High Normanby near Hawsker), in Ryedale. near Scunny, Gainsborough - and Normanby-le-Wold near Market Rasen - all in the North of Lincs within the Lincoln area (the things you find out from a road atlas, eh?). At the moment she lives not far from Scunthorpe but will move shortly. Been there for years! Where does your sister live, Ann? 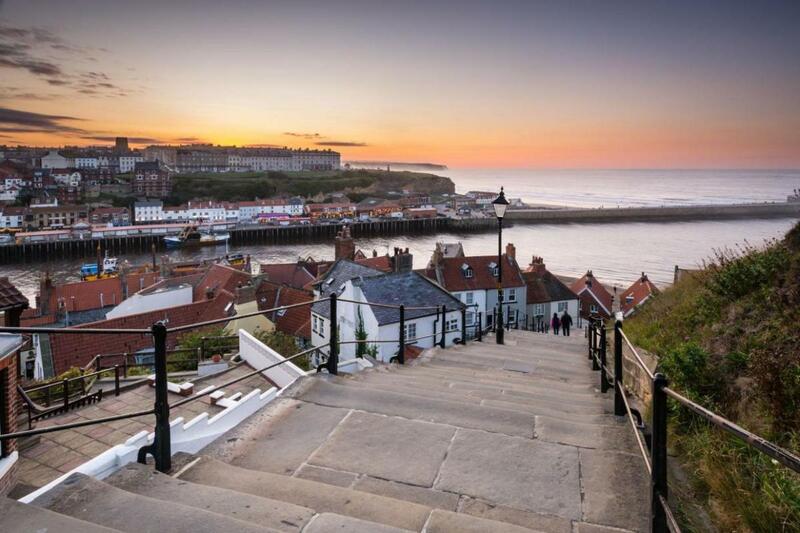 I shall be up there again at the end of this month over the late May Bank Holiday for a walk around the North Yorkshire Moors Railway at Pickering and stopping off at cousin Paul's on Teesside (the rest are away). I'm staying near Helmsley, off the Stokesley Road at Laskill Grange, Hawnby (above Thirsk on the edge of the Moors). 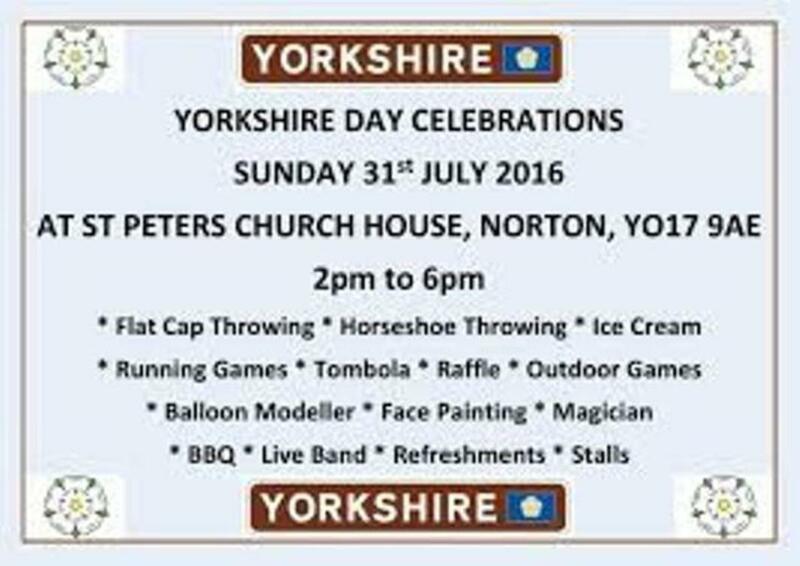 I had no idea Yorkshire had a 'day'. It is a beautiful county and part of my heritage. 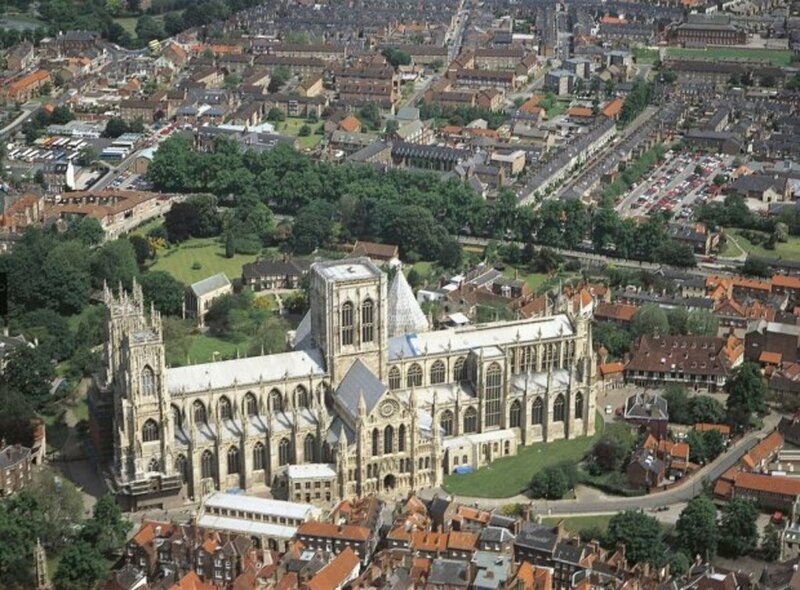 My sister lives there and is about to move to York so I'm looking forward to another look at that lovely city and its Minster. She does a mean Yorkshire Pudding too! Lawrence, this is "for tham as cumes fra God's Coontry". (Ever see that episode of 'Whatever Happened To the Likely Lads?' where Terry and Bob are sat together and Terry starts off on his assessment of different nationalities? ... Comes down to 'them down south' [meaning Middlesbrough or Hartlepool] and finally he doesn't reckon much to them down the road either). The girlfriend (now wife) and her mother watched the episode at Christmas 1980 and I'm told her mother pointed at Terry and said, 'That's Alan'. They fell about on that one. I was elsewhere at the time. Thoroughly enjoyed reading about this, though I didn't know about the Rose at the Battle of Minden. Well aye lass, there's a Cleveland in England. It's THE Cleveland yours was named after (same as York and Scarborough - have you looked on the Hub-page about driving from Whitby to Scarborough, the Queen of the Yorkshire Coast in the TRAVEL NORTH series?) 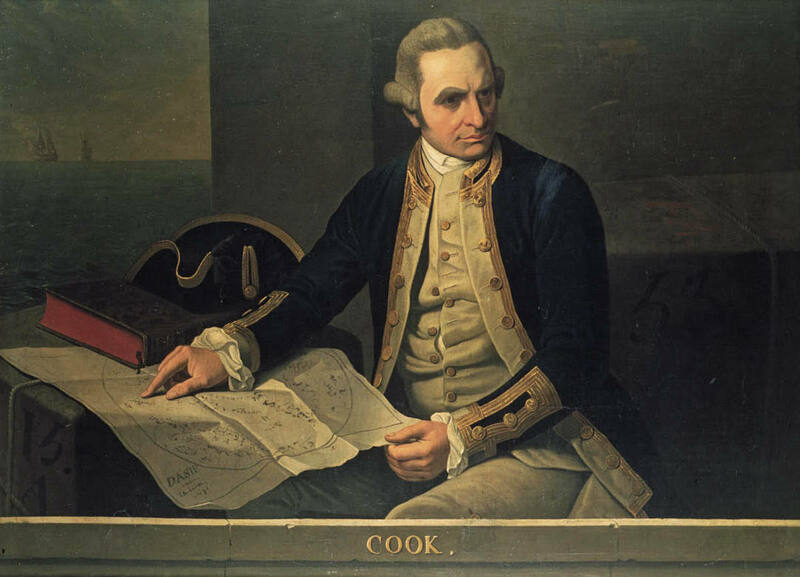 In his early years James Cook lived near Great Ayton, overlooked by the Cleveland Hills. My Grandad and some of the family farmed in the West Cleveland area between Stokesley and Northallerton. It's a great area to bring up kids and stretches between Osmotherley near Northallerton to the coast at Skinningrove and Saltburn. There's a Cleveland in England? I wonder if Ohio has cliffs (certainly nothing like the 1000-or-so-foot dropoffs at Pike's Peak.) And I just assumed the borders in England had been that way for a thousand years. Anyway, aren't all these worries about uniformity a bit overstated? 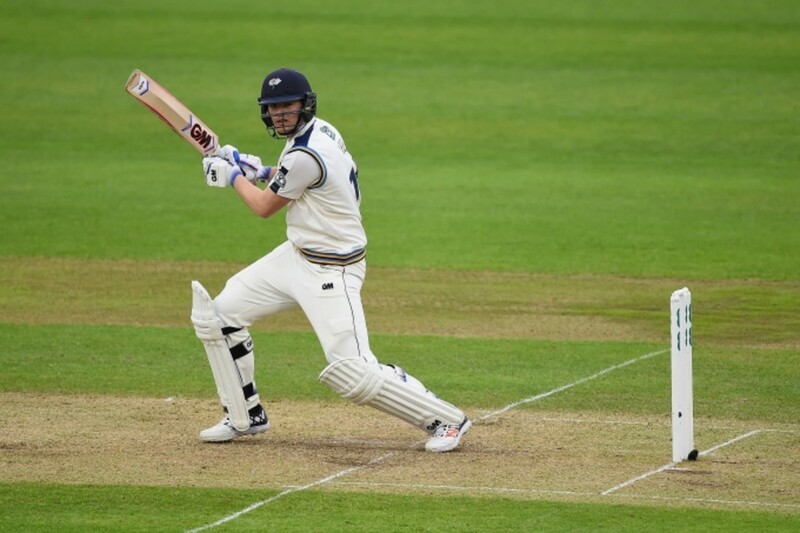 Is it really even possible to make a Yorkshireman uncolorful? I say about Yorkshire what I say about Texas: you sort of have to respect a place that has such a high opinion of itself. Anyway, thanks for another article that makes me want to come visit Yorkshire again. 'Ey lad, tha were quick off't mark! Political gimmickry indeed! Identity is important and when you find yourself in another land without moving, it's unsettling to say the least. 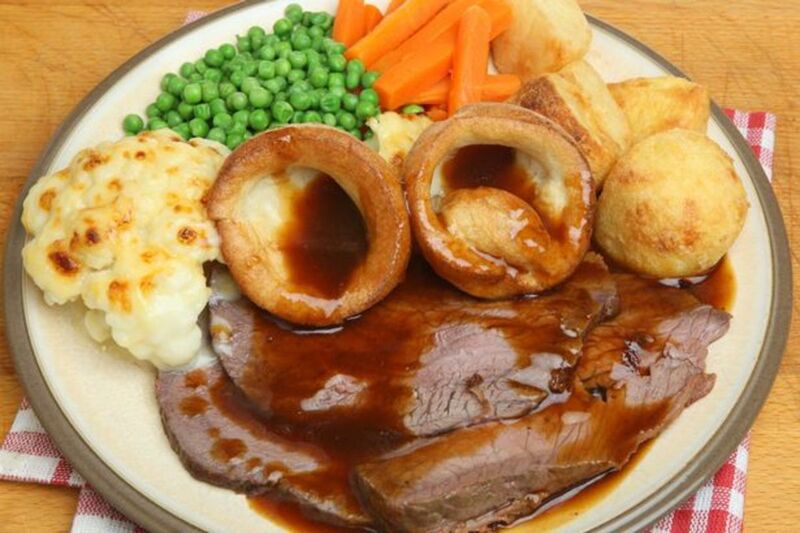 Um, the pub food and Yorkshire pud get the taste buds drooling and bring back fond memories. Unhealthy? I think there are unhealthier choices and I doubt I'll ever look back fondly on a salad. The world may becoming more uniformly gray-- with broad swaths of beige. Thanks for the tour, Alan.